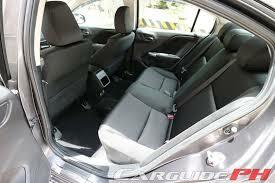 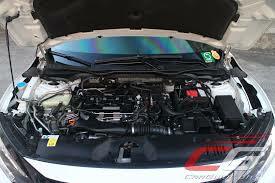 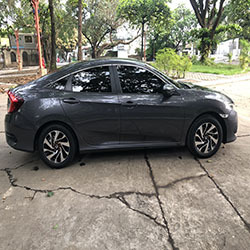 Honda Civic for rent manila our only sports type sedan. 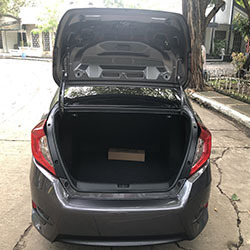 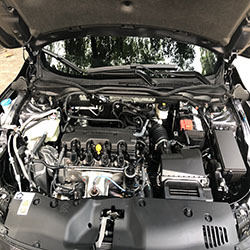 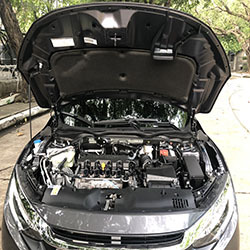 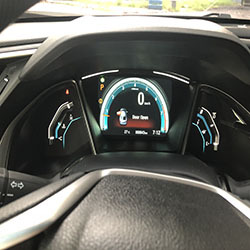 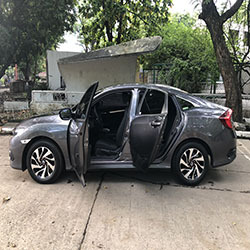 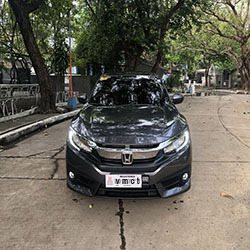 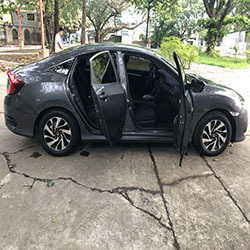 Honda civic for rent manila with 2018 model gives an all new customer driving experience. 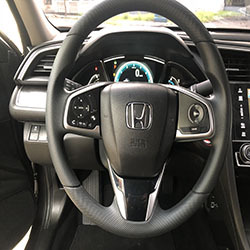 With its striking sporty design,similarly yet powerful driving performance, similar advanced set of key technologies and innovations. 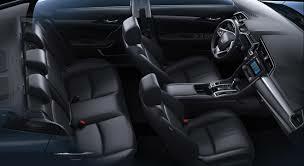 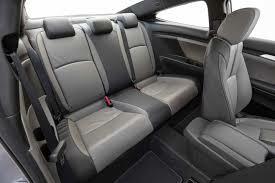 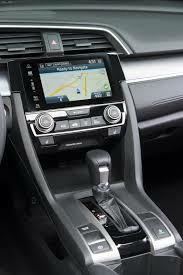 Also the premium quality and upscale interior. 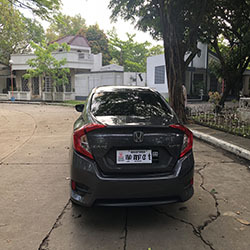 ➥ early booking discounts: 5% Off for 30 days early reservation and up to 10% Off for 3 months early reservation with initial deposit. 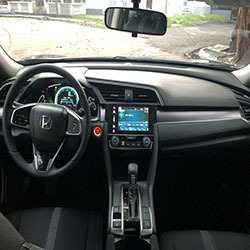 Updated key features and innovation. 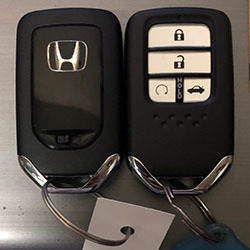 key-less fob : that has a 10 meter censoring. 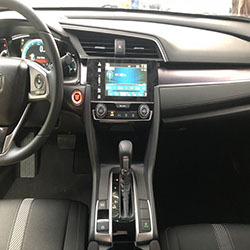 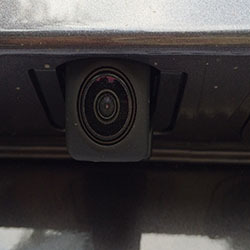 You can literally walk out the civic do some quick stops while the engine running with this feature on your pocket. 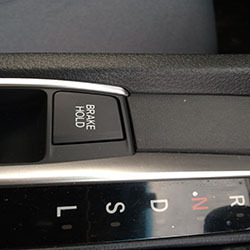 hold brake button : for those momentarily stops and you to rest your foot of the brake pedal especially on heavy traffic. 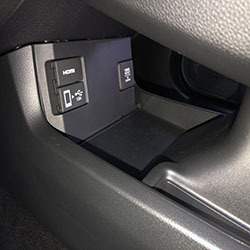 HDMI port and gadget plug ins : want to watch a movie on your head unit or simply have a playlist. 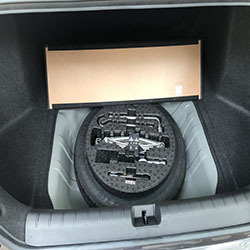 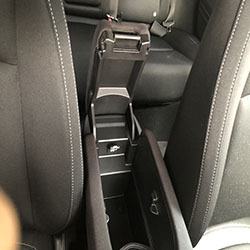 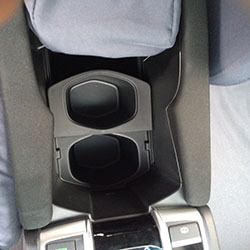 USB charger : aside from the gadget plugin , this is also a hidden charging station/gadget plug in hidden in the driver’s arm rest for safety and security while on the road. 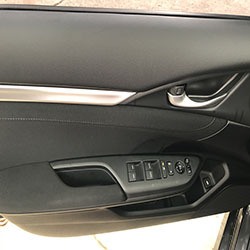 hand brake lever : unlike most conventional hand brake this is a simple yet ingenious update from the previous model with your foot firmly on the brake. 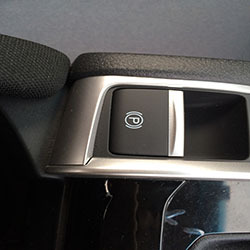 this simple lever does the trick. 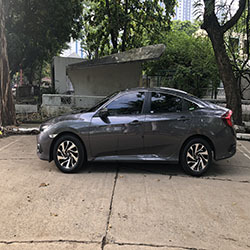 And also the 2018 Honda Civic for rent 1.8 E CVT sporting heritage first shines through with its coupe-like silhouette, low and wide stance. 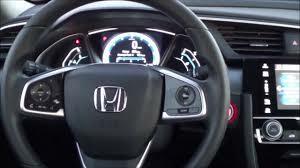 secondly with even sharper body lines. 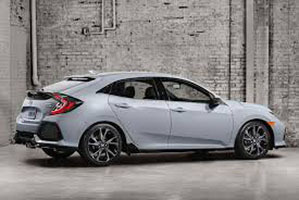 No doubt the days of eye-catching style and daring demeanor have returned. 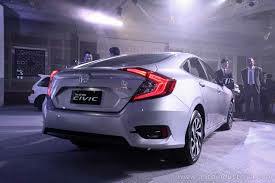 In my opinion the civic is any bachelors dream car.